We’re proud to have two new great writers in our team. 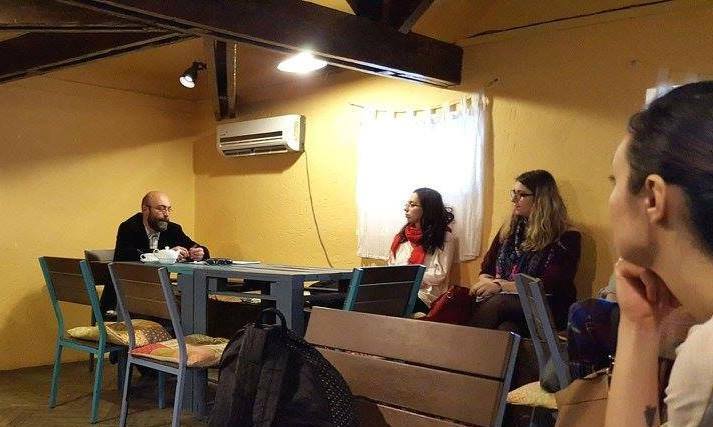 Cezar Paul-Bădescu is the new colleague of Bogdan-Alexandru Stănescu and together they teach our creative writing workshop in Bucharest, while Dan Coman is the new trainer for the creative writing workshop we organize in Vama Veche, at the seaside. Last month we also had the pleasure of having writer Filip Florian as a guest at Creative Writing Sundays for the first time. Another calligraphy workshop finished in March. 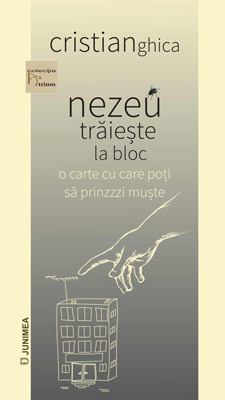 Our alumnus Cristian Ghica published a poetry book – nezeu trăiește la bloc – in January so we asked him a few questions, read about him and his writings here. 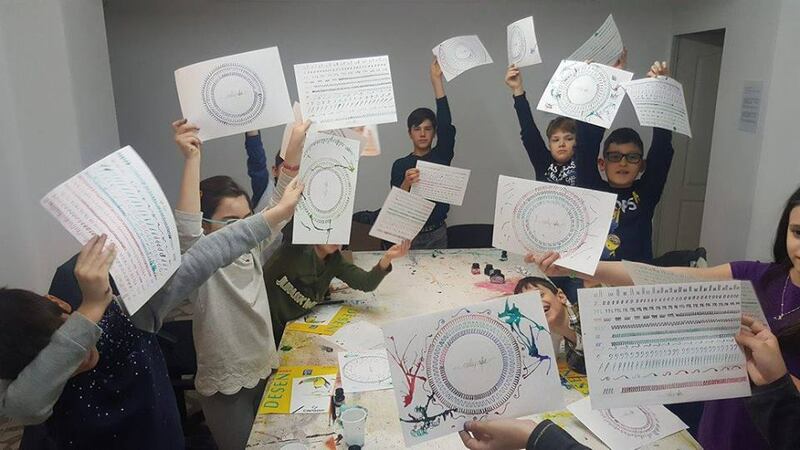 A new calligraphy workshop for kids taught by Ștefania Iorgoiu finished this weekend. Children practice patience and focus, resulting in rounder letters, thus improved readability. Our short story contest announced its winners – Cristina Cozmovici, Horia Sibișteanu, Petru Albu, Radu Monoranu, read their stories here, selected by writer Bogdan Munteanu. If you think you’re just as good, participate in our next short story contest! We also published the best stories written at Creative Writing Sundays, selected by the last two guests, Filip Florian and Corina Sabău. Read the stories here. 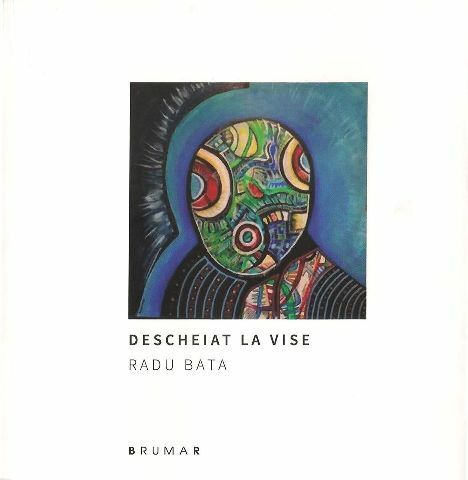 If you are in the mood for a playful poetry book, our colleague Andreea Apostu has a recommendation. 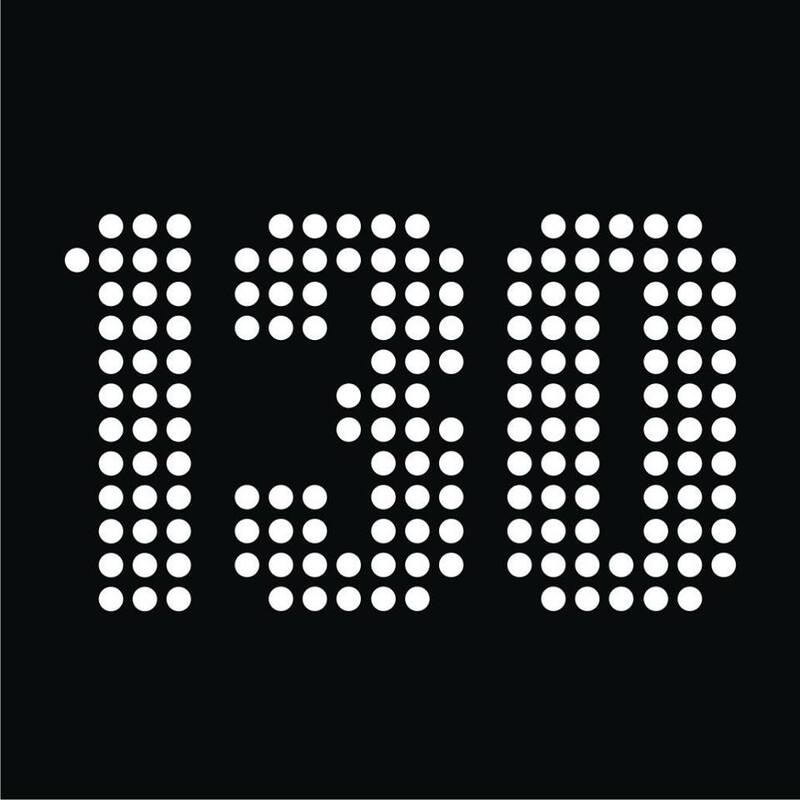 Traian Stanciu, the vice-president of our NGO, started a movie review Facebook page called 130 minutes, check it out! Also from Facebookland, don’t forget that you can train your imagination every night with Motanov Motanul Mov. 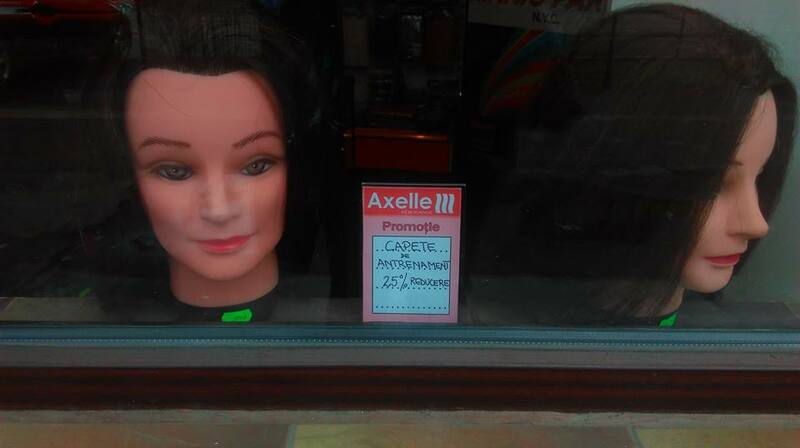 If you don’t think you have the head for that, you can always buy one, as you can see above!